"Kizami tabako" literally means "shredded tobacco." This is in fact a traditional process of preparing and Japanese shredded tobacco. Traditionally prepared without additives and very finely chopped, kizami tobacco kizami suits particularly well to the small bowl of kiseru. Tobacco was introduced to Japan by Portuguese in the mid 16th century. 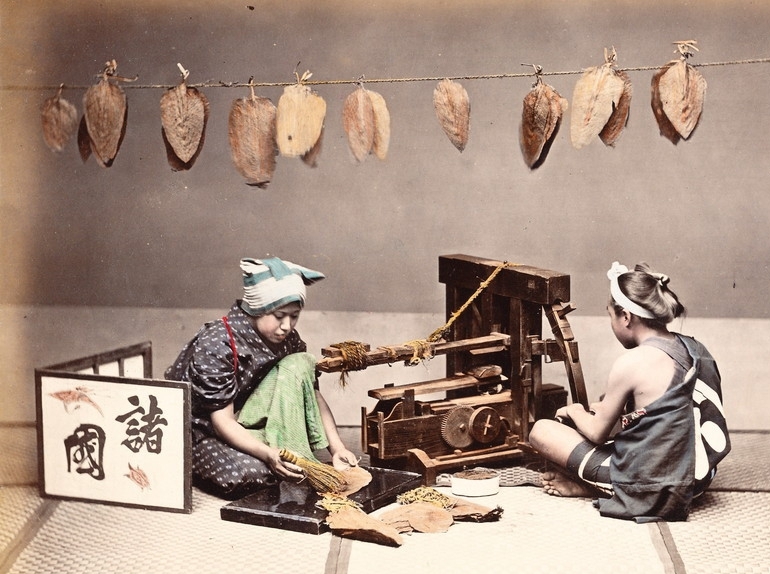 Tobacco production in Japan began in the early 17th (1610) in Tokushima. There were many kizami tobacco producers before tobacco became a state monopoly in Japan and cigarettes supersede the kiseru. A man and a woman chopping "kizami" (1890). Japanese kizami tobacco factories have lasted for nearly four centuries until 1979 when production was temporarily interrupted. But because there were people who wanted to smoke this particular tobacco, and also to perpetuate this traditional know-how, production eventually took over with Koiki brand. Two brands are currently available in Japan : Koiki (小 粋) and Takarabune (宝船). Koiki is a Japanese production made with native tobacco and is for these reasons, Japanese prefered one. 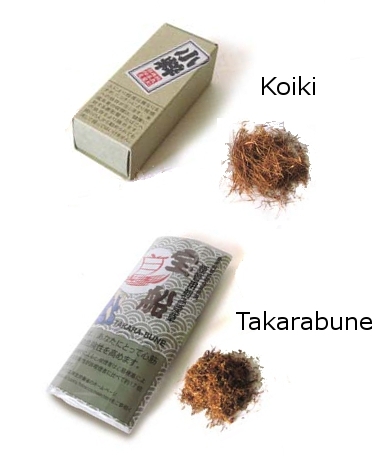 The second one (Takarabune), is chopped slightly less finely than the first one, and is produced by the company Flandria Tobaccos Company in Belgium (www.flandria-tobaccos.be)! Since it is not legally possible to order kizami tobacco from Japan, the only way seems to bring some back in your luggage when visiting Japan or ask a friend to do so... The quantity that it is allowed to bring back from a trip to Japan depends on every country laws so please check it out.